by ceciliemo ~ November 13th, 2012. Filed under: Latest News, Lifestyle, Norway, Oslo. Are you a big fan of lefse, like me? 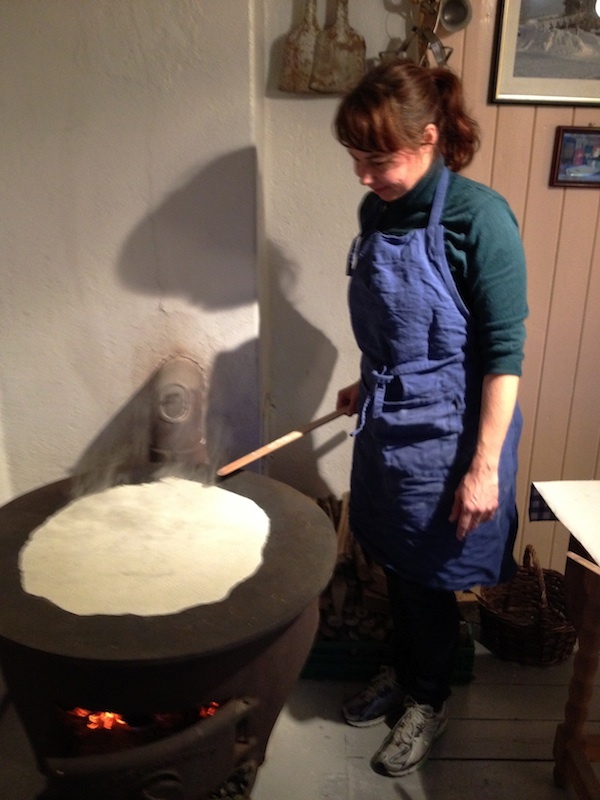 On Saturday I learned how to bake traditional Norwegian lefse (potato pancakes) and flatbread at Skjerven Farm in Oslo. It is highly recommended for all fans! 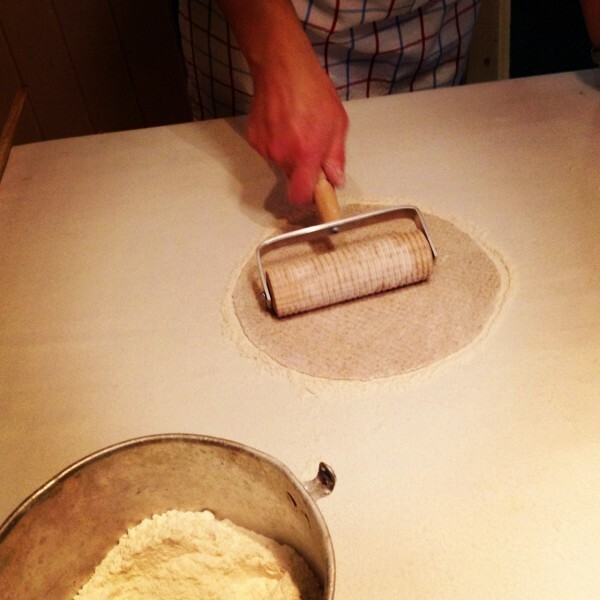 Flatbread in the making – with the mini corrugated rolling pin. My friend Hanne in action, owner of the food blog “Matmisjonen“. For more photos from the event, read her blog post here (in Norwegian). 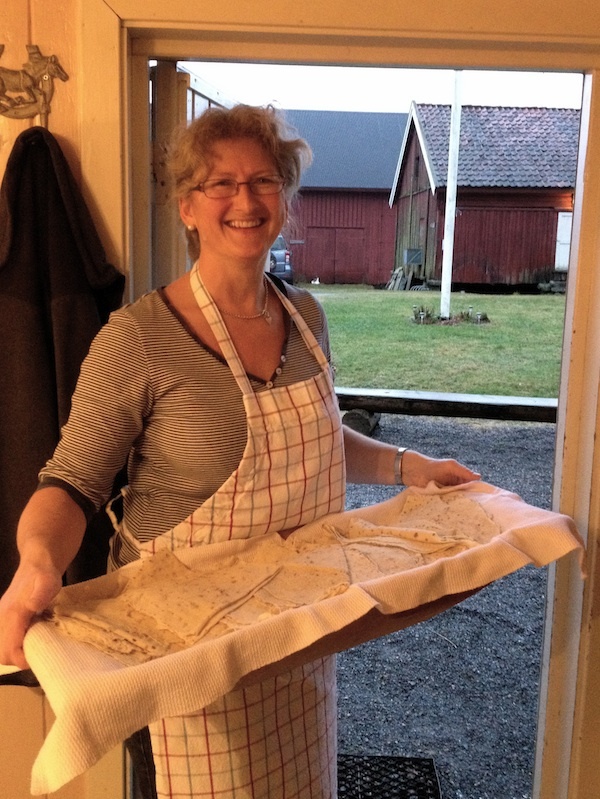 Our fab teacher, and owner of the farm, Tori Bakke, with our homemade batch of lefse. A Christmas Market is arranged in December every year at Skjerven Farm. Here you can buy the yummy lefse and flatbread, too.